one of the leading aluminum extrusion profiles manufactures in China.500,000 square meters, owns 8 subsidiaries . aluminum extrusion profiles production equipment more than 400 sets, for instance,Internal input organization is detected by top assembled zeiss microscope , research center 4400㎡. main projects: Beijing--capital airport , Beijing -Olympics national conference center ,Beijing -national digital library etc. Surface treatment ;mill finished ,anodizing ,electrophoresis,power coating ,polishing ,wooden grain etc. 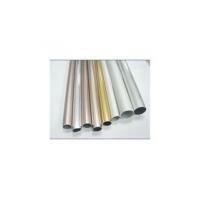 Aluminium extrusion profiles application: is widely used for window and door frames ,building curtain glass walls, solar panel frames, industry ,heatsinks, LED lighting ,auto parts and etc.